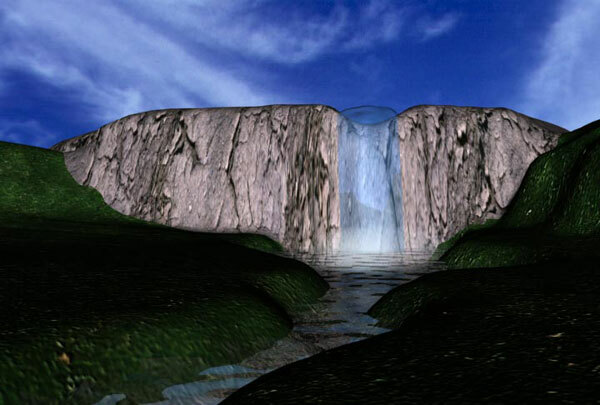 This was my first 3D landscape, created in August 2000. 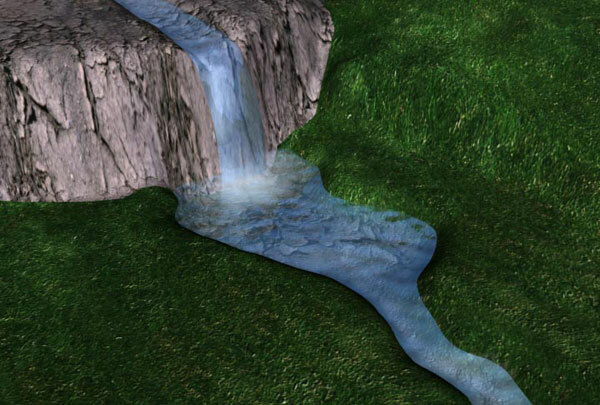 I decided on a waterfall probably as an homage to the waterfall in Super Mario 64™, and probably because it seemed simple to do. Boy, was I wrong. This was one of many frustrating projects where I could see clearly what I wanted to make, but lacked the skill and knowledge to easily make it, so I would spend hours and hours learning how to do it, using a large number of profanities in the process. I really like how well the bottom of the riverbed looks, because I remember struggling with that texture for a very long time.